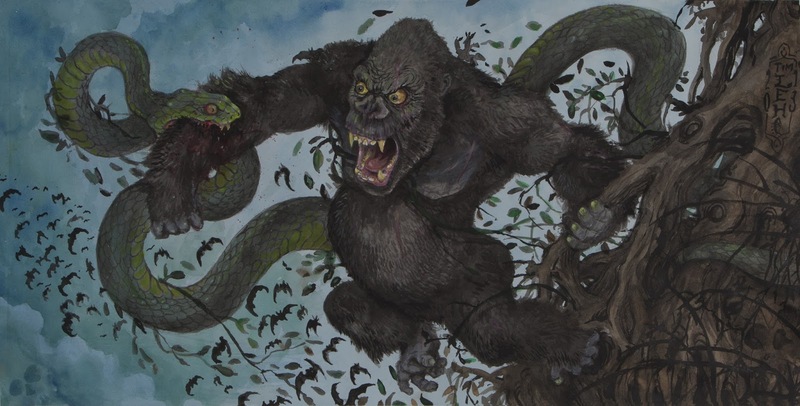 TIM LEHI: Gorilla Snake Battle 2013 for Osti. Gorilla Snake Battle 2013 for Osti. Commission from 2013. Fairly large piece, fun to paint. Apes are always a fun subject to tattoo and paint. Commissions welcome. Black Heart Tattoo 415-431-2100.